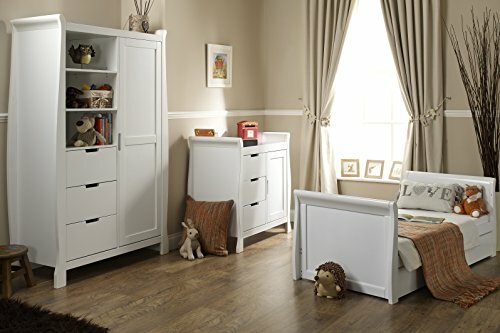 Obaby presents their exquisitely designed Lincoln Sleigh 3 Piece Nursery Furniture Set. 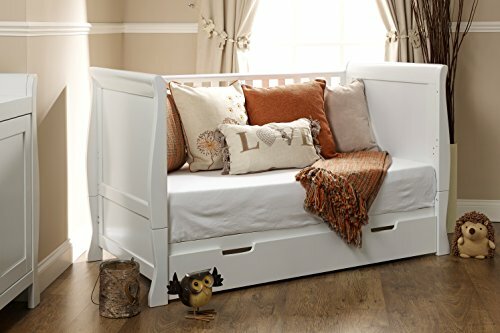 Includes: OBaby Lincoln Sleigh Cot Bed. 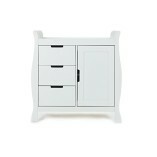 OBaby Lincoln Changing Unit. 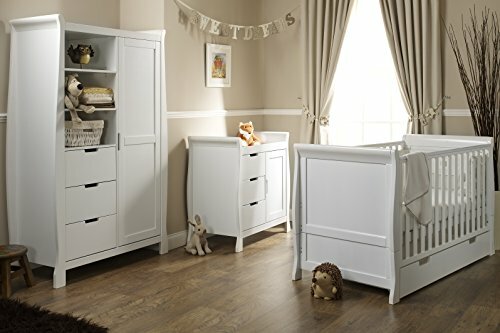 OBaby Lincoln Double Wardrobe. 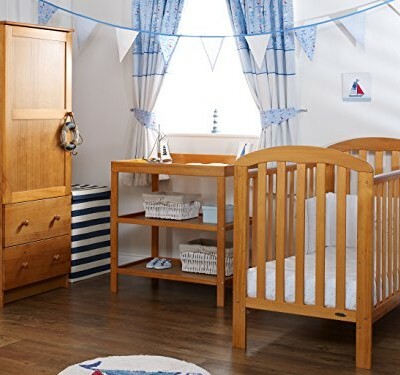 The Sleigh Cot Bed is constructed from solid wood and can be converted seamlessly from a babys cot of the highest quality to a fully functioning junior bed. 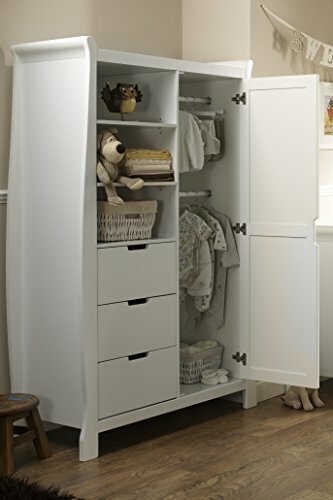 The stylish matching changing unit provides three generous drawers on the left hand side, while the right features one full length cupboard with a handy adjustable shelf, meaning plenty of storage options for all of babys changing essentials. 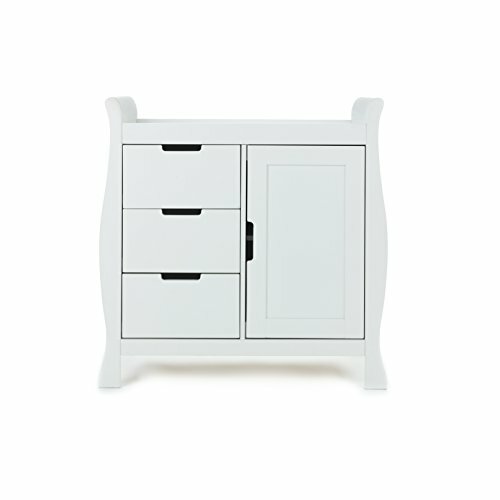 The double wardrobe consists of three adjustable shelves and three spacious drawers. 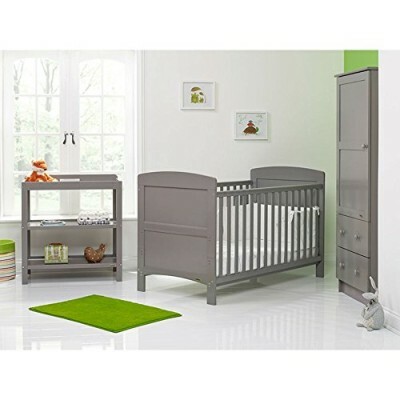 Cot Bed 107(h) x 78(w) x 147cm(d). Changing Unit 91(h) x 90(w) x 50cm(d). Wardrobe 175(h) x 110(w) x 50cm(d).